Asphalt, the final wearing course, is added from a dumper or tipper truck into the paver and then processed by the machinery until it is spread over the width of the road surface providing the first stage of construction and the initial compaction of the raw material. It is imperative that this machine moves at a steady pace to ensure an even application of material and therefore a smooth finish. If the flow of material is uneven, there will be thicker and thinner parts of the surface which will cause an uneven road. HIGHWAY ASPHALT are proud to use Bitelli Pavers. Road rollers use their weight to compress the surface, and can also use vibration to achieve compression as well depending on the vehicle. 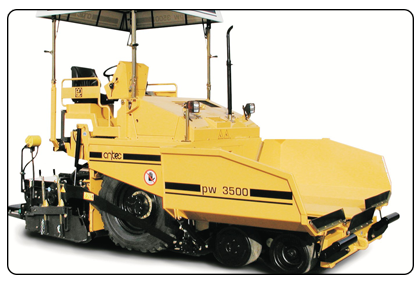 Rollers are used during the entire process of road construction, from flattening uneven ground through to laying the road base and then the wearing course, by using different configurations. 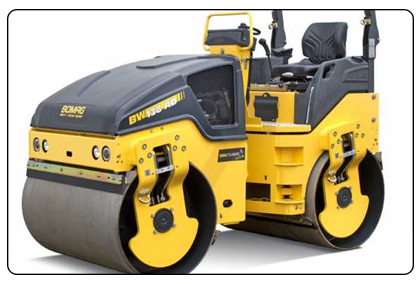 HIGHWAY ASPHALT use BOMAG Rollers in conjunction with other types of machinery depending upon the job at hand. Heavy construction vehicle with hydraulic power designed to assist with the road construction process. These vehicles can be fitted with a variety of different appendages to perform different roles such as demolition, digging and general landscaping. 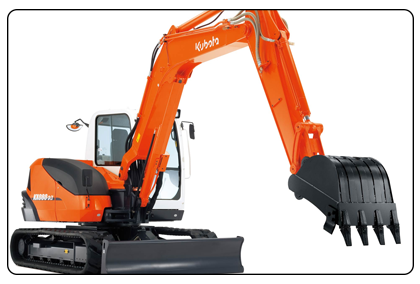 HIGHWAY ASPHALT use KUBOTA Diggers and have both 3 ton and 9 ton vehicles. 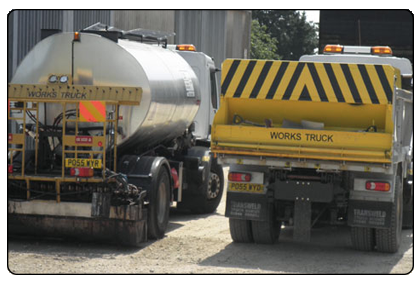 Road tankers are the surface dressing equipment used for transporting loose road construction and surface dressing materials such as shingles and aggregates. HIGHWAY ASPHALT have a variety of 4 and 6 wheel tippers to suit the needs of the operation. Bay 13, Crawley Mill Industrial Est.